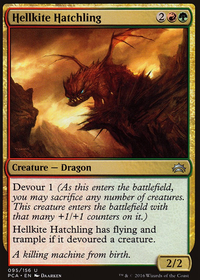 As an additional cost to play Skulltap, sacrifice a creature. The above lists are all tier 1 lists, made by incredibly talented deckbuilders. If you want this list to truely stand, up the ramp and card draw. I'd second the suggestion for more card draw. 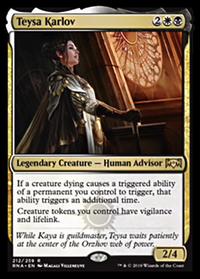 Maybe test with synergistic cards that include a destroy/sac or graveyard manipulation cost like Altar's Reap, Costly Plunder, Dredge, Gravepurge, Merciless Resolve, Parting Thoughts, Ragamuffyn, Recover, Skulltap, Urborg Uprising, or Vampiric Rites. Erebos, God of the Dead, or Underworld Connections might help here, too. A Soldevi Adnate might be handy for a tiny bit of ramp if you ever get stuck without enough apostles, and an Ashnod's Altar would be an excellent source of punishing ramp if you're stuck at 5 or fewer apostles. 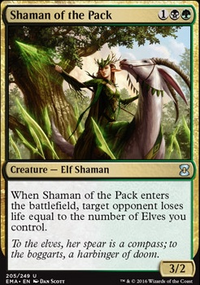 Not sure how often you're sacing a land, perhaps Skulltap over Merciless Resolve? If you have any tips or recommendations that'd be greatly appreciated. I think you've recognized the dilution of the deck as for what to do with it is up to you. There are some interesting synergies in it already but my favorite is the dynamic between; Vengeful Dead, Carrion Feeder and Soulless One. 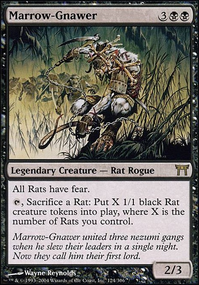 Noxious Ghoul looks interesting to go in your sideboard but is too late game to be in the main deck. as for thematic and functional sorceries I'd say keep Unearth, Stir the Grave (for returning Zombies) and Skulltap. Ghoul's Feast looks like it'll be great for a cheeky fatal swing too. If you focus on a playset of each of the above you've got an interesting mechanic that would be great fun to play and even lose against. Hope you find something useful within all these! I was gonna say Altar's Reap but you already have Skulltap. I dig this deck, you can't go wrong with mono black! Bone Splinters is a lovely card. I think that it goes without saying that you need Braids, Cabal Minion in here. Forget about the rules! To Braid it up some more, you can put in Skulltap for sac and draw or Blackmail, though it may not fit as well. Ghastly Demise could work and you get a quote from Braids. Read the Bones and Sign in Blood come to mind. 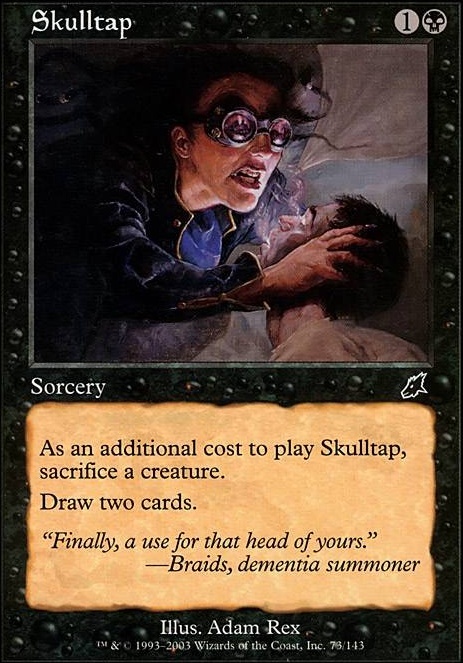 Could also use something like Skulltap, Altar's Reap or Merciless Resolve if you don't mind the sacrificing costs.